YUSUFALI: Then will no (soul) entertain falsehood concerning its coming. SHAKIR: So that they shall be as scattered dust. YUSUFALI: And ye shall be sorted out into three classes. SHAKIR: And you shall be three sorts. YUSUFALI: Then (there will be) the Companions of the Right Hand;- What will be the Companions of the Right Hand? PICKTHAL: (First) those on the right hand; what of those on the right hand? SHAKIR: Then (as to) the companions of the right hand; how happy are the companions of the right hand! YUSUFALI: And the Companions of the Left Hand,- what will be the Companions of the Left Hand? PICKTHAL: And (then) those on the left hand; what of those on the left hand? SHAKIR: And (as to) the companions of the left hand; how wretched are the companions of the left hand! YUSUFALI: And those Foremost (in Faith) will be Foremost (in the Hereafter). SHAKIR: In the gardens of bliss. YUSUFALI: And a few from those of later times. PICKTHAL: And a few of those of later time. SHAKIR: And a few from among the latter. YUSUFALI: Reclining on them, facing each other. PICKTHAL: Reclining therein face to face. SHAKIR: Reclining on them, facing one another. YUSUFALI: And the flesh of fowls, any that they may desire. PICKTHAL: And flesh of fowls that they desire. SHAKIR: And the flesh of fowl such as they desire. YUSUFALI: Like unto Pearls well-guarded. YUSUFALI: A Reward for the deeds of their past (life). PICKTHAL: Reward for what they used to do. SHAKIR: A reward for what they used to do. YUSUFALI: Only the saying, "Peace! Peace". PICKTHAL: (Naught) but the saying: Peace, (and again) Peace. SHAKIR: Except the word peace, peace. YUSUFALI: The Companions of the Right Hand,- what will be the Companions of the Right Hand? PICKTHAL: And those on the right hand; what of those on the right hand? SHAKIR: And the companions of the right hand; how happy are the companions of the right hand! SHAKIR: And banana-trees (with fruits), one above another. YUSUFALI: And fruit in abundance. YUSUFALI: And on Thrones (of Dignity), raised high. YUSUFALI: We have created (their Companions) of special creation. YUSUFALI: For the Companions of the Right Hand. SHAKIR: For the sake of the companions of the right hand. YUSUFALI: And a (goodly) number from those of later times. PICKTHAL: And a multitude of those of later time. SHAKIR: And a numerous company from among the last. YUSUFALI: The Companions of the Left Hand,- what will be the Companions of the Left Hand? PICKTHAL: And those on the left hand: What of those on the left hand? SHAKIR: And those of the left hand, how wretched are those of the left hand! PICKTHAL: Neither cool nor refreshing. SHAKIR: Neither cool nor honorable. SHAKIR: Surely they were before that made to live in ease and plenty. YUSUFALI: And persisted obstinately in wickedness supreme! PICKTHAL: And used to persist in the awful sin. SHAKIR: And they persisted in the great violation. SHAKIR: And they used to say: What! when we die and have become dust and bones, shall we then indeed be raised? YUSUFALI: "(We) and our fathers of old?" PICKTHAL: And also our forefathers? SHAKIR: Or our fathers of yore? YUSUFALI: "All will certainly be gathered together for the meeting appointed for a Day well-known. PICKTHAL: Will all be brought together to the tryst of an appointed day. SHAKIR: Shall most surely be gathered together for the appointed hour of a known day. SHAKIR: Then shall you, O you who err and call it a lie! YUSUFALI: "Ye will surely taste of the Tree of Zaqqum. YUSUFALI: "Indeed ye shall drink like diseased camels raging with thirst!" PICKTHAL: Drinking even as the camel drinketh. SHAKIR: And drink as drinks the thirsty camel. YUSUFALI: Such will be their entertainment on the Day of Requital! PICKTHAL: This will be their welcome on the Day of Judgment. SHAKIR: This is their entertainment on the day of requital. YUSUFALI: It is We Who have created you: why will ye not witness the Truth? PICKTHAL: We created you. Will ye then admit the truth? SHAKIR: We have created you, why do you not then assent? PICKTHAL: Have ye seen that which ye emit? SHAKIR: Have you considered the seed? YUSUFALI: Is it ye who create it, or are We the Creators? PICKTHAL: Do ye create it or are We the Creator? SHAKIR: Is it you that create it or are We the creators? YUSUFALI: from changing your Forms and creating you (again) in (forms) that ye know not. PICKTHAL: That We may transfigure you and make you what ye know not. SHAKIR: In order that We may bring in your place the likes of you and make you grow into what you know not. YUSUFALI: And ye certainly know already the first form of creation: why then do ye not celebrate His praises? PICKTHAL: And verily ye know the first creation. Why, then, do ye not reflect? SHAKIR: And certainly you know the first growth, why do you not then mind? YUSUFALI: See ye the seed that ye sow in the ground? PICKTHAL: Have ye seen that which ye cultivate? SHAKIR: Have you considered what you sow? YUSUFALI: Is it ye that cause it to grow, or are We the Cause? PICKTHAL: Is it ye who foster it, or are We the Fosterer? SHAKIR: Is it you that cause it to grow, or are We the causers of growth? PICKTHAL: Lo! we are laden with debt! YUSUFALI: "Indeed are we shut out (of the fruits of our labour)"
PICKTHAL: Nay, but we are deprived! SHAKIR: Nay! we are deprived. YUSUFALI: See ye the water which ye drink? PICKTHAL: Have ye observed the water which ye drink? SHAKIR: Have you considered the water which you drink? YUSUFALI: Do ye bring it down (in rain) from the cloud or do We? PICKTHAL: Is it ye who shed it from the raincloud, or are We the Shedder? SHAKIR: Is it you that send it down from the clouds, or are We the senders? YUSUFALI: Were it Our Will, We could make it salt (and unpalatable): then why do ye not give thanks? PICKTHAL: If We willed We verily could make it bitter. Why then, give ye not thanks? SHAKIR: If We pleased, We would have made it salty; why do you not then give thanks? YUSUFALI: See ye the Fire which ye kindle? SHAKIR: Have you considered the fire which you strike? YUSUFALI: Is it ye who grow the tree which feeds the fire, or do We grow it? PICKTHAL: Was it ye who made the tree thereof to grow, or were We the grower? SHAKIR: Is it you that produce the trees for it, or are We the producers? YUSUFALI: We have made it a memorial (of Our handiwork), and an article of comfort and convenience for the denizens of deserts. PICKTHAL: We, even We, appointed it a memorial and a comfort for the dwellers in the wilderness. SHAKIR: We have made it a reminder and an advantage for the wayfarers of the desert. YUSUFALI: Then celebrate with praises the name of thy Lord, the Supreme! PICKTHAL: Therefor (O Muhammad), praise the name of thy Lord, the Tremendous. SHAKIR: Therefore glorify the name of your Lord, the Great. SHAKIR: None shall touch it save the purified ones. YUSUFALI: A Revelation from the Lord of the Worlds. PICKTHAL: A revelation from the Lord of the Worlds. SHAKIR: A revelation by the Lord of the worlds. YUSUFALI: Is it such a Message that ye would hold in light esteem? SHAKIR: Do you then hold this announcement in contempt? YUSUFALI: And have ye made it your livelihood that ye should declare it false? PICKTHAL: And make denial thereof your livelihood? SHAKIR: And to give (it) the lie you make your means of subsistence. YUSUFALI: Call back the soul, if ye are true (in the claim of independence)? PICKTHAL: Do ye not force it back, if ye are truthful? SHAKIR: That you send it (not) back-- if you are truthful? YUSUFALI: (There is for him) Rest and Satisfaction, and a Garden of Delights. PICKTHAL: Then breath of life, and plenty, and a Garden of delight. SHAKIR: Then happiness and bounty and a garden of bliss. 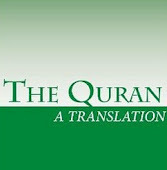 YUSUFALI: (For him is the salutation), "Peace be unto thee", from the Companions of the Right Hand. PICKTHAL: Then (the greeting) "Peace be unto thee" from those on the right hand. SHAKIR: Then peace to you from those on the right hand. YUSUFALI: For him is Entertainment with Boiling Water. YUSUFALI: And burning in Hell-Fire. PICKTHAL: And roasting at hell-fire. SHAKIR: And burning in hell. YUSUFALI: Verily, this is the Very Truth and Certainly. PICKTHAL: Lo! this is certain truth. SHAKIR: Most surely this is a certain truth. YUSUFALI: So celebrate with praises the name of thy Lord, the Supreme. PICKTHAL: Therefor (O Muhammad) praise the name of thy Lord, the Tremendous.